If you want to learn more about this subject you can find tons of videos in YouTube. 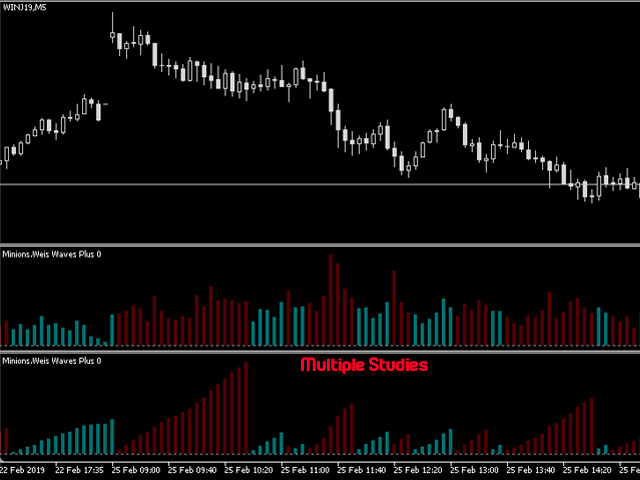 Just look for "The Wickoff Method", "Weis Wave" and "Volume Spread Analysis". There is also the book David Weis wrote himself called "Trades About to Happen" (Wiley Trading Series). 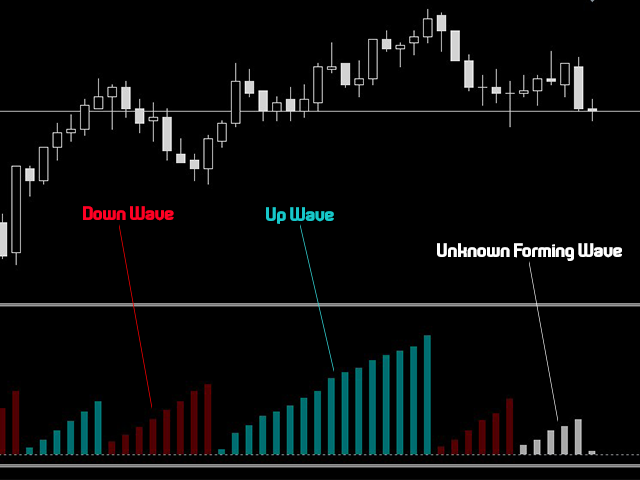 Volume Waves stacked according to a threshold (*in TICKS*) adjusted by the user for each Symbol, so you can exactly grab the market swings. You can set the number of bars you need to load in your study, so you can limit the load and usage of MT resources and gaining speed of processing. 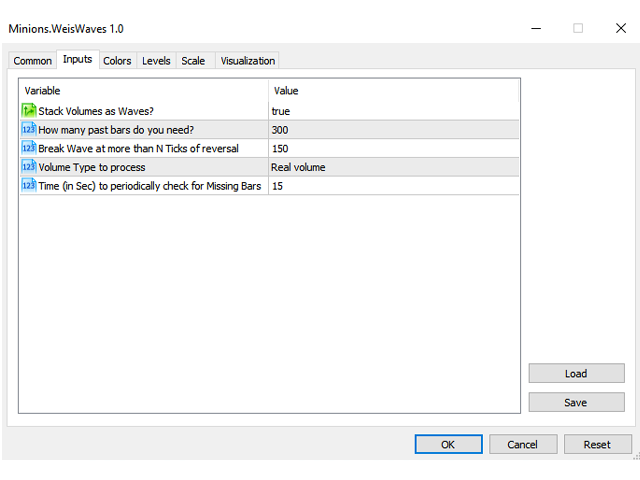 You can change the color and style of the waves. 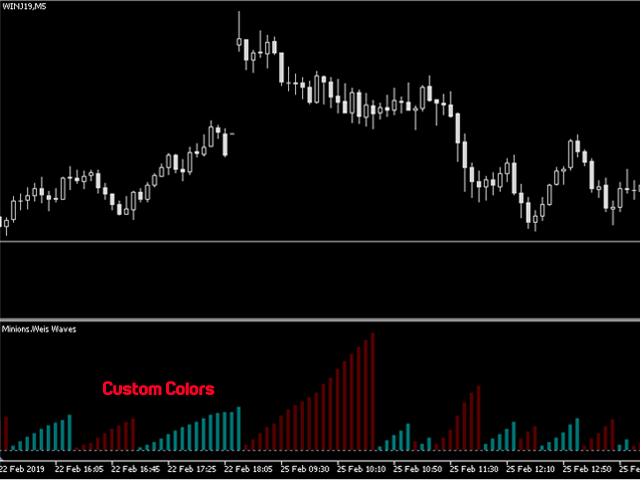 You can Unstack the volume into a simple histogram if desired. 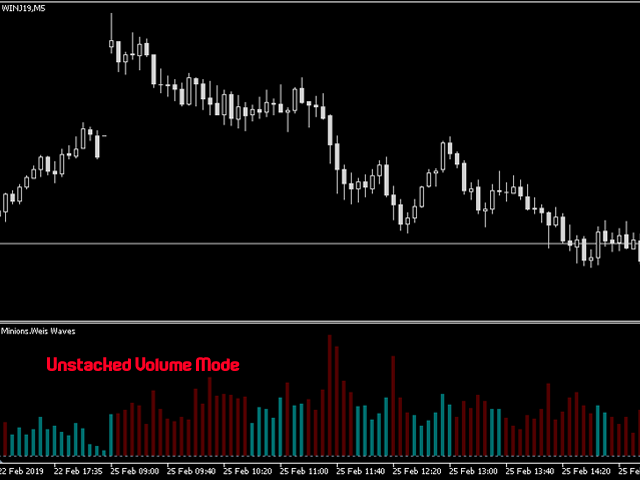 You can use Real Volume or Ticks Volume. 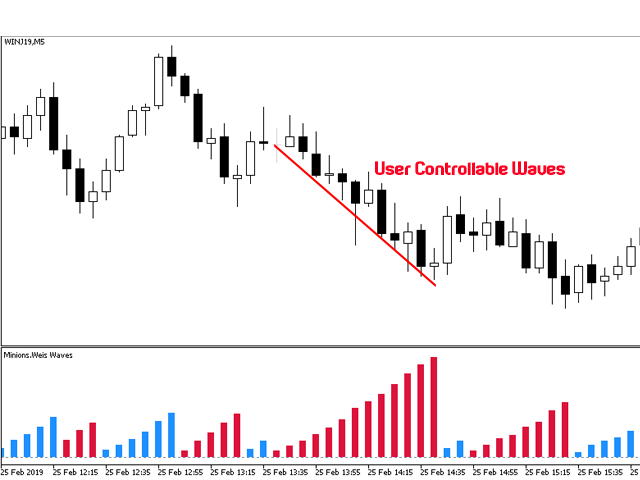 You will have Up Waves and Down Waves, and the new and yet unknown wave being formed will have a white (user-changeable) color. Sometimes MT5 cache of data gets delayed or not renewed, so some bars can momentarily disappear. 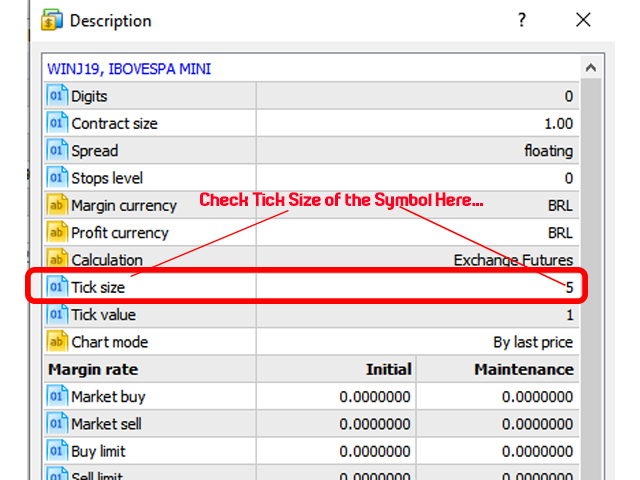 The indicator will detect and correct the missing bars in a timed interval if needed. Seria possível incluir uma configuração para o parâmetro de reversão da onda ser o preço de fechamento e não apenas as máximas e mínimas? Ainda estou testando, mas me parece ser um bom indicador.